Coordination exercises need not be unmusical or boring. 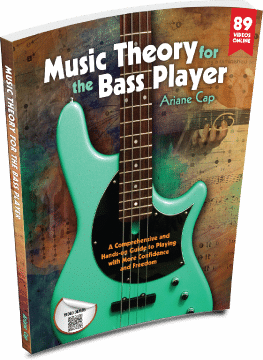 Here is one that is fun, practices your music theory in the process – and – you can speed it up gradually to get to new levels of speed. The ticket? Staying relaxed. Here is a cool harmonic minor lick that you can use to shed your coordination and speed. Comment here, comment there… let me know how it is working for you! After about a 20 year hiatus, I’ve just recently got back into playing bass. Of all the books I’ve looked at and purchased to help me get back into it, yours is quite simply the best. The “Bass Bits” videos are really the icing on the cake. After just a few days of starting practicing with your book I’m starting to have a better understanding of quite a bit of the structure of music and the fretboard than I did when I was playing before. It won’t be long before I purchase your instructional video! I use Marleaux Basses and Dean Markley Strings. TC Electronics Pedals, cabs and amps! Fretwrap byGruvgear. I think this exercise will help, I tend to tense up and hold down my second finger on the D note as I execute the F# to E.